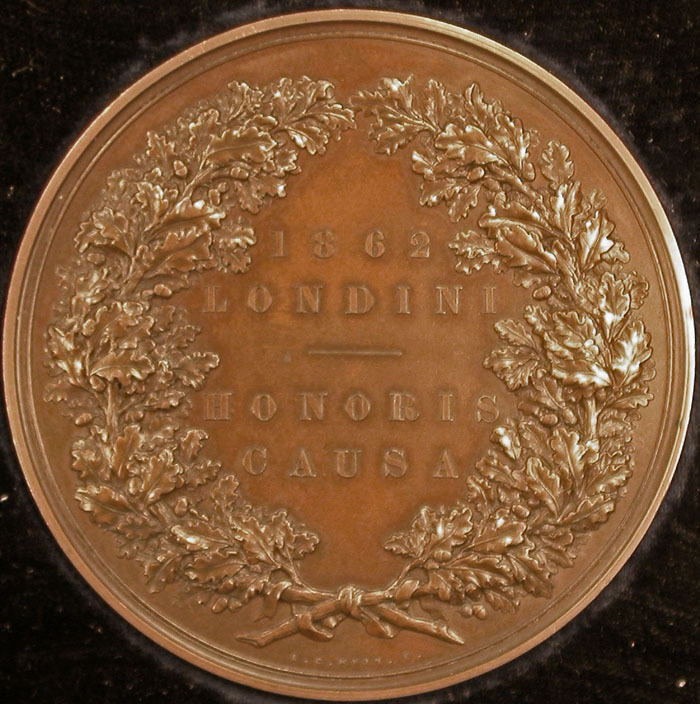 Although not arranged as part of the 2007 Annual Exhibition, I was privileged to examine and photograph the original Prize Medal that was awarded to the famous slide maker J. T. Norman in 1862. I had invited his great-great-granddaughter, Miss Margaret Norman, to come to the Exhibition and she kindly brought this medal to show me and allowed me to photograph it. In 1846 John Thomas Norman set up his slide mounting business in London. He submitted a “good general collection” to the jury of The 1862 International Exhibition, Class 13, “Philosophical Instruments and Processes depending upon their use”. 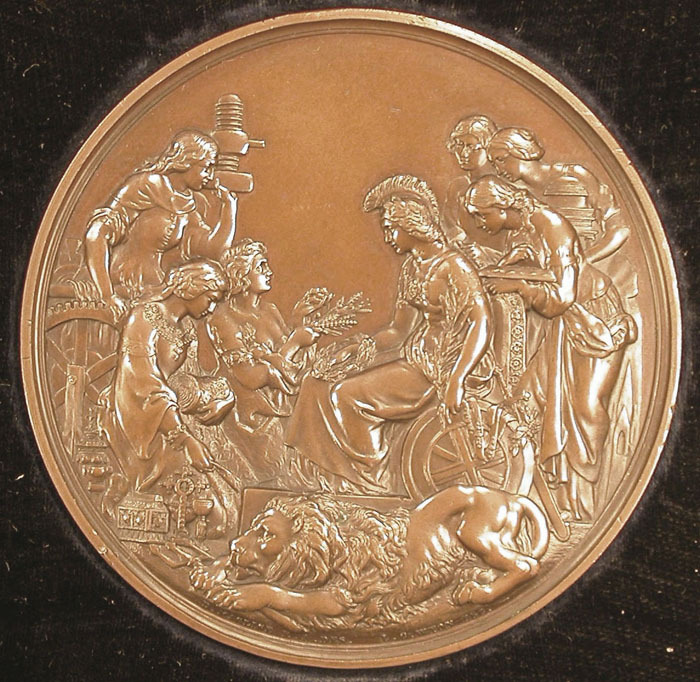 He deservedly was awarded this medal. J. T. Norman died in February 1893, but his sons Alfred and Edwin continued to make slides of superb quality until 1936. Today many of us are fortunate to include a variety of objects labelled JTN in our cabinets. Please refer to the detailed article by Dr B. Bracegirdle which was printed in the JQMC in 1996, Vol. 37, pp. 514–535.